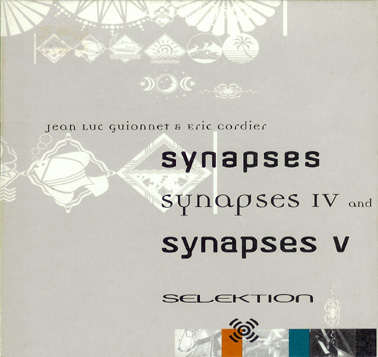 "Synapses is an instrumental device of combined string instruments (acoustic and electric guitars, detuned piano, spinett-vina, hurdy-gurdy and cello), percussion instruments and metal resonnators —all interconnected with double-bass-, cello- and guitar strings. When one string is played the resulting sound or movement is transfered by the connected strings to the next resonator. Thus one action causes several sound events. In fact, it’s impossible to touch one element of the system without getting response of the whole device. Synapses is an hanging sensible network... "